A gentleman has contacted the OES for help. He is writing the biography of the former Dutch consul-general in Estonia, Mr Eugen-Gerhard Lukk (born July 1891). Mr. Lukk was appointed 1930 and had the position until the Soviet occupation of Estonia. He was forced to close his consulate. Alledgedly he was deported in 1941 and nothing was heard of him since then. He had five children with Mrs Erika Lukk-Mahlström, probably an Estonian-Swedish lady who already died in 1931. The children were: Jüri (Georges), Gerhard, Gerda, Elisabeth and Maret. All lived in Tallinn. Maret must have been born before 1931. By chance a digital article was found in the Ottawa Evening Citizen dated 17 May 1952. It mentions that Miss Maret Lukk married Norman McLeod that day. He wonders if the mentioned Maret Lukk is / was one of the daughters of the former Dutch consul-general. If so he would like to have contract with her of offspring to find out if they could tell me more about the former consul-general and his consular secretary Mrs (Edith Irmgard?) Lepin (born app. 1883?? ; née Treuhoff; widow of Erich Leeping?). Mr Lukk once (in the 1930-ies) had a business interest in the Canadian oil industry as well. Please respond to the blog if you can help this gentleman with his research. 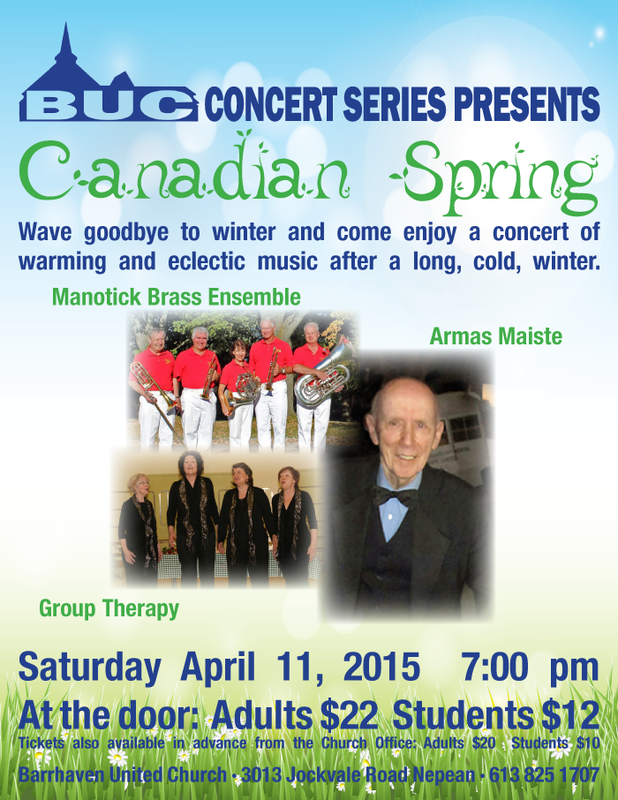 Armas Maiste in concert at the Barrhaven United Church, 3013 Jockvale Rd. You are currently browsing the Ottawa Eesti Selts blog archives for April, 2015.